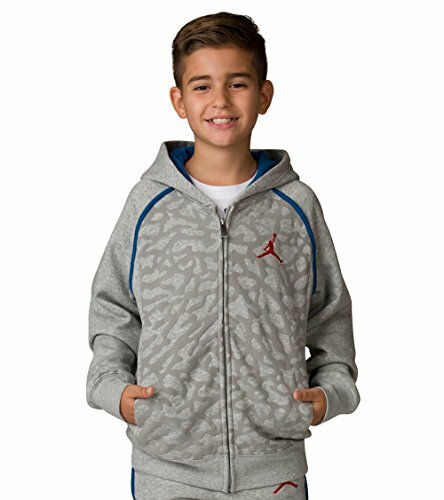 Hit the streets in style with this junior Air 3 Full Zip Hoodie from Jordan. Offering comfortable coverage, the jacket is crafted from a soft cotton blend and features a full zip fastening and a hood with contrasting lining for a flash of colour. The hoodie is finished with a tonal pattern to the front and signature Jumpman branding. NOTE: Boys sizing, if unsure on size, order one size up.